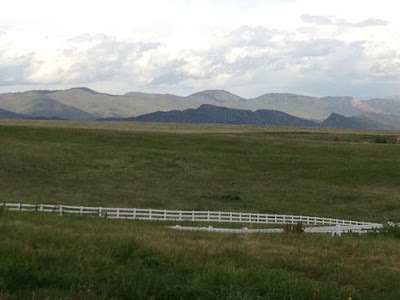 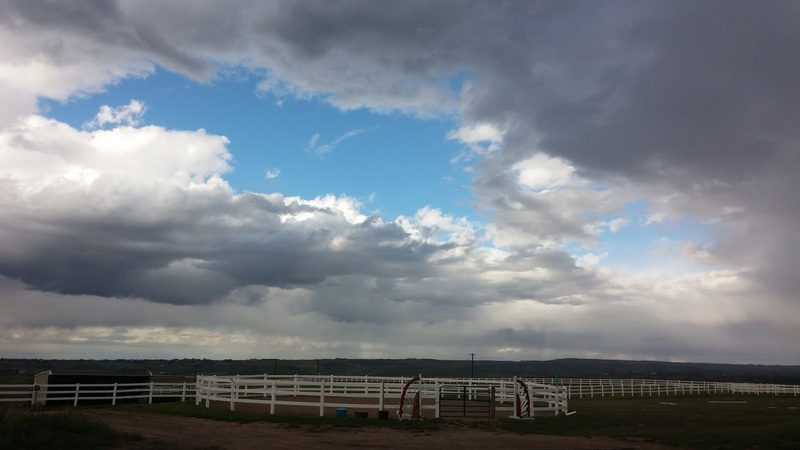 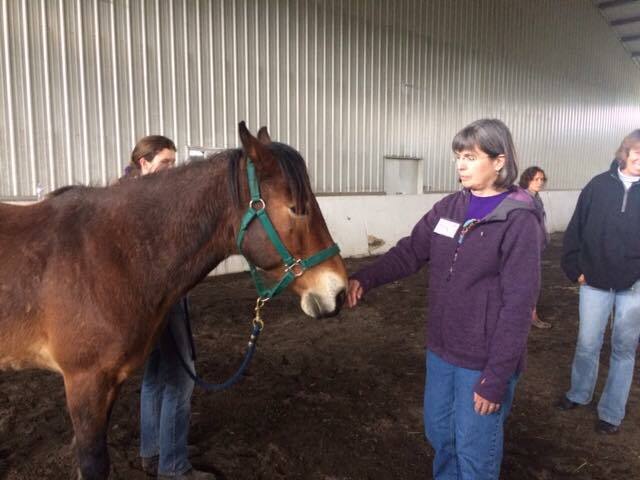 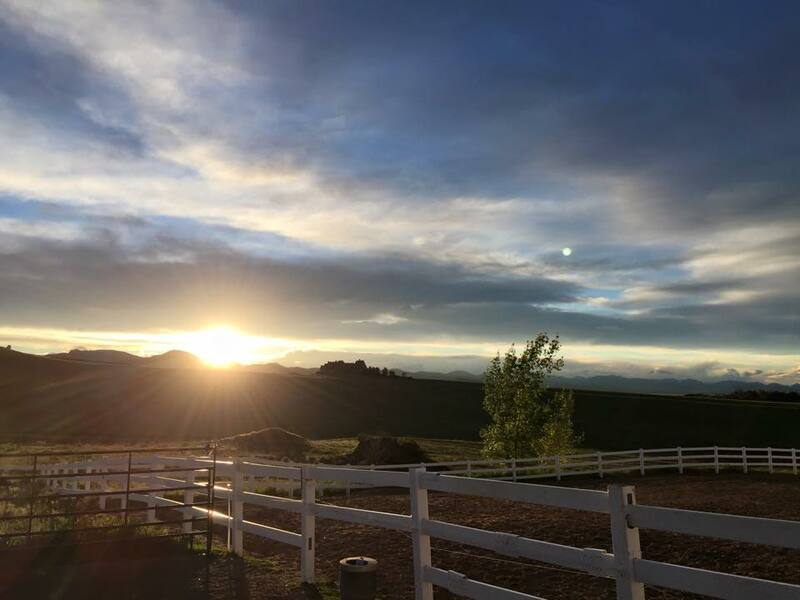 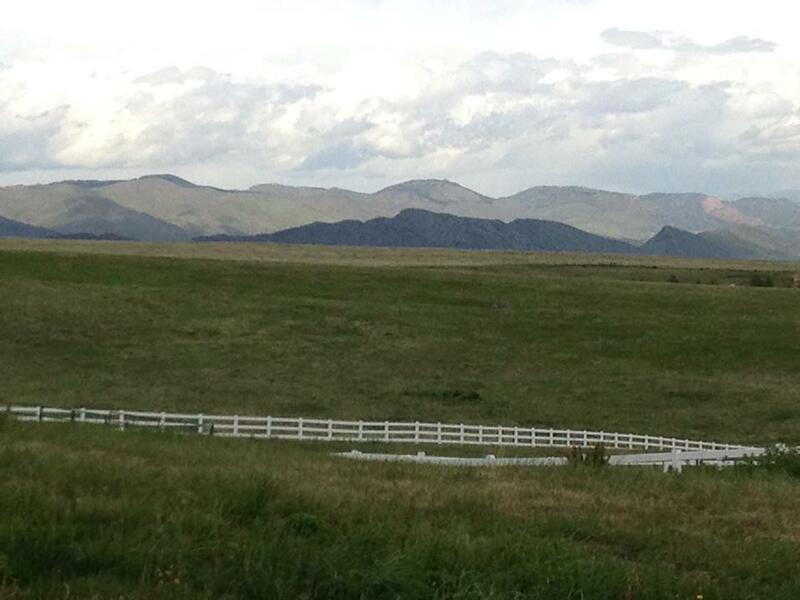 Welcome to the Powerful and Play-filled 2015 Healing with Horse Symposium, May 2015, Denver, where over 80 equine facilitators from all over the US, Canada and the world gathered to empower each other to EXPAND their practice with horses! Hosted at the Beautiful Zuma's Rescue Ranch lovingly run by Jodi & Paul Messenich, home of our Symposium for the 3rd year! 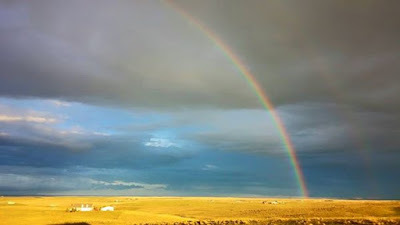 To kick-off our wonderful journey into Essence, my power sign, the Rainbow, graced us with magical energy, opening doorways into potent energies for transformation! 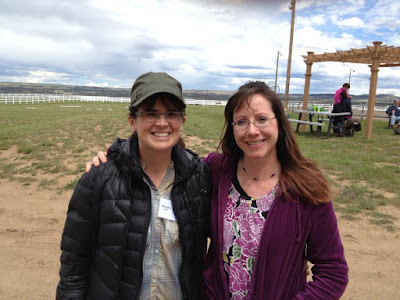 We were blessed to have Trish Broersma, one of the founding voices in our field, be with us and offer her guiding light several times over the weekend. The festival began Friday with a pre-symposium workshop on the founding principles of Trish's program, Journey Horse. 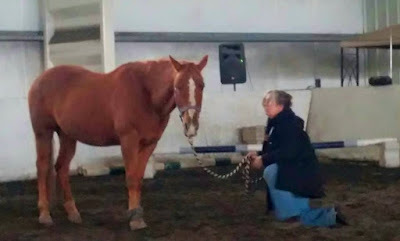 Trish gave a lovely demonstration of the beauty of Liberty work as a portal of connection that can ideally prepare healing horses for offering their best gifts during sessions. 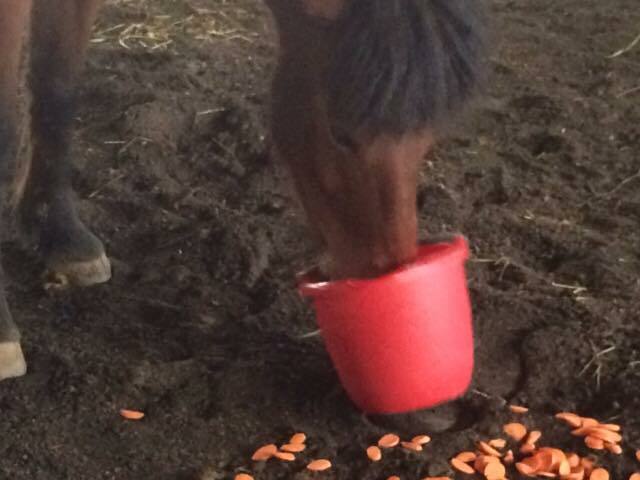 Here is liberty-horse Atticus enjoying some carrots, as a way for Trish to claim Territory. Her liberty work is based on the Waterhole Rituals of Carolyn Resnick. 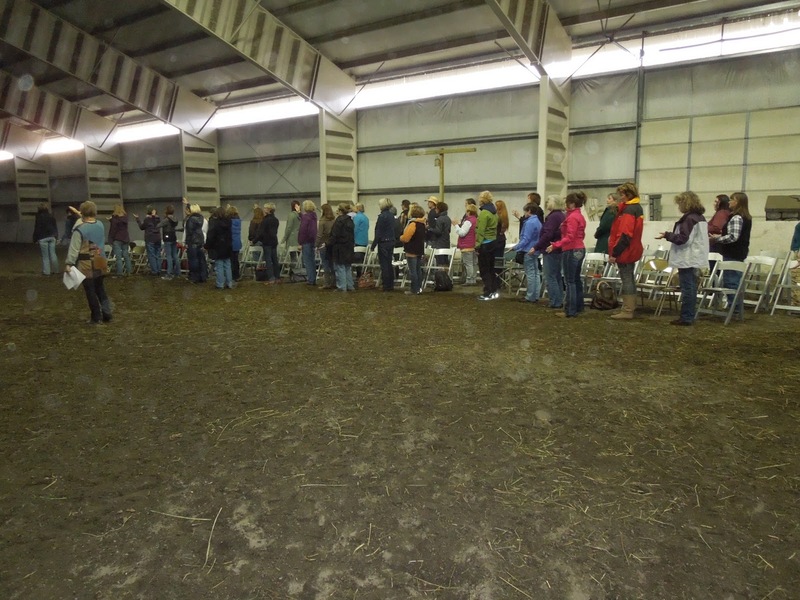 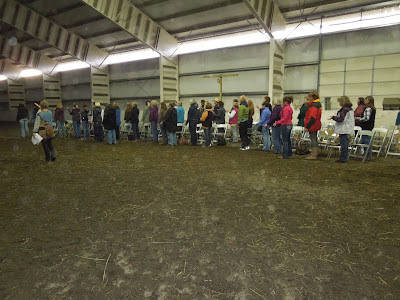 Here participants greeted 4 horses and tuned into what messages they each held for them. 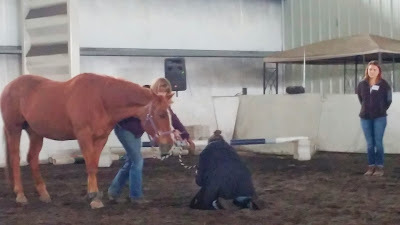 It's always amazing to see what can be learned when approaching 4 different horses! 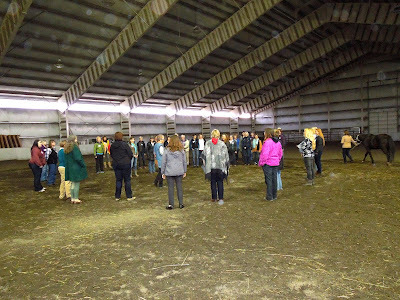 The day finished off with an exercise in Group Story-Sharing. 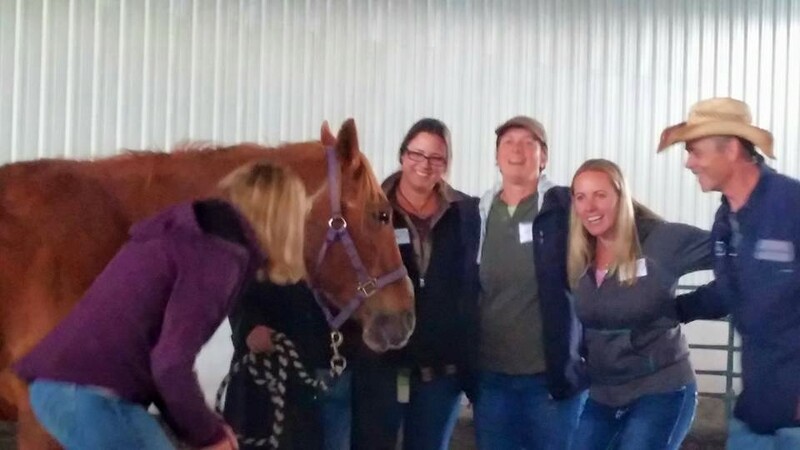 Each small group was given time to create a 5 minute story to share with the whole group, including a horse as group member. 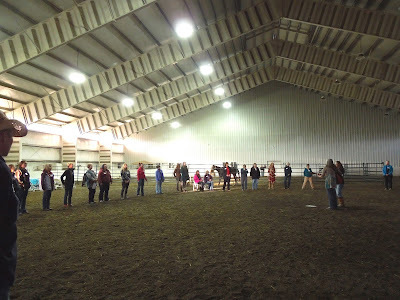 Many groups chose a story which reflected the Hero's Journey, a powerful model to make meaning of life's challenges. Friday Evening's Opening Event began with a Snack Social, the perfect opportunity to begin making soul-ful connections! Afterward, setting the stage for our soul-ful connection with horses, Trish also kicked off our weekend with a powerful guided journey through our history with horses, on Friday evening. Here, Calling in the Directions. 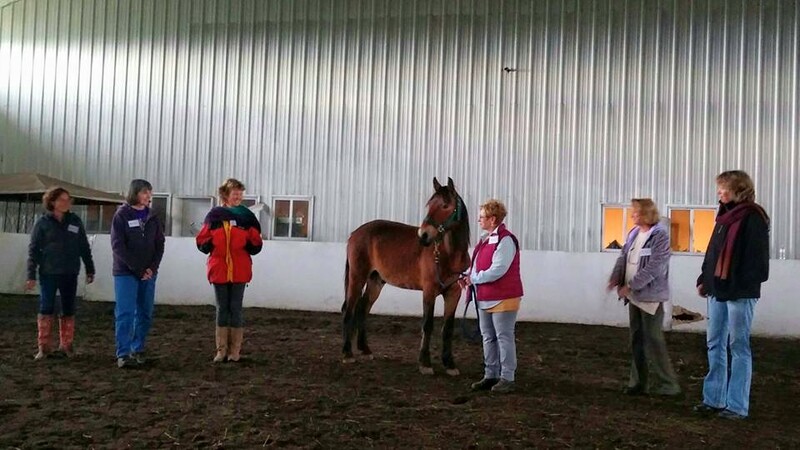 Beginning with a wonderful song that Tiffany MacNeil wrote with the horses! 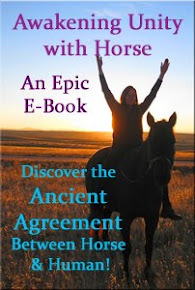 Next, we walked backward through time to experience humanity's history with horses. 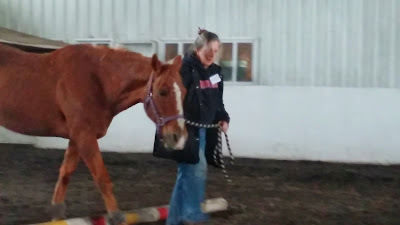 The energy of the horses was SO powerful this evening, that I was tearful the whole time! The horses are SO GRATEFUL that humans finally understand the GIFTS they are offering with their Presence! 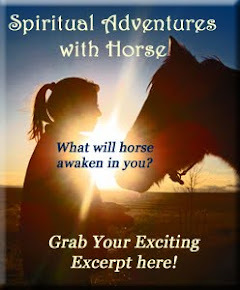 What a beautiful way to kick-start our soul-filled journey with the Heart of Horses! Continue to Part 2: Saturday's Symposium journey here.